Placoderms (Devonian fossil fishes) are resolved phylogenetically to the base of jawed vertebrates and provide important evidence for evolutionary origins of teeth, particularly with respect to the Arthrodira. The arthrodires represent a derived group of placoderms; the dentition of other more primitive placoderms such as the acanthothoracids is less well known. Articulated acanthothoracid dental plates are rare; x‐ray computed tomography of a single, unique specimen, along with 3D segmentation of bone, oral denticles and vascular spaces, provides intrinsic developmental and topological information relevant to tooth origins. 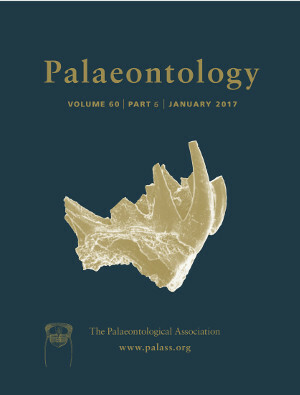 Recently, a disarticulated element was identified as a dental plate of the acanthothoracid Romundina stellina, with synchrotron microtomography providing characters to comment on ongoing debates regarding the evolution of teeth. We used segmental quantitative methods to re‐analyse this data, for comparison to the articulated and unquestionable acanthothoracid dental plates above. We demonstrate substantial differences between these, disputing the identity of the isolated plate of R. stellina as a dental plate, and thus its relevance to questions of tooth evolution.